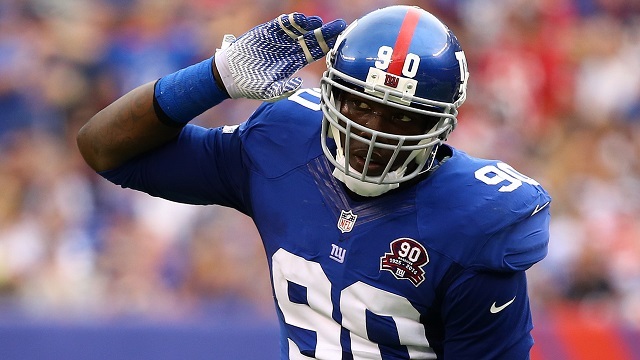 Jason Pierre-Paul had a rough end to his summer after losing a finger in a July 4th fireworks accident, but the sky could be the limit from here. According to various reports, Pierre-Paul is in great shape and could very well see action in the season opener against the Dallas Cowboys. From @AlbertBreer & me on JPP: He’s landed, getting a physical. His hand is wrapped for protection. No broken bones. He’ll play with a cast. Coughlin said he wouldn't rule out JPP if he comes in and is good to go.